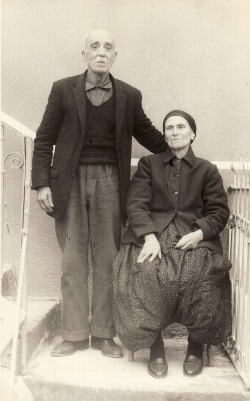 Above: My maternal grandparents, Elias and Erifili Grammellis. Above Right: With family and horiani. 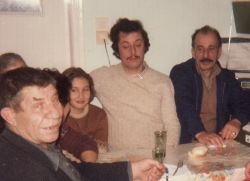 L-R: my father, Mihail; my niece, Androniki; myself and Panagiotis Koulaxidellis. 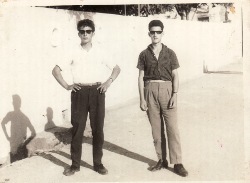 Above: With my friend, Nikolaos Arvanitellis. 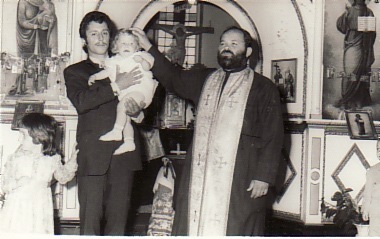 Above Right: Becoming a godfather at Evangelismou Orthodox Church, Melbourne. 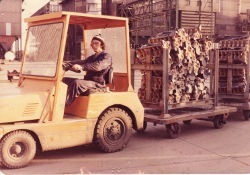 Above: Driving a forklift at General Motors Holden, Melbourne. Above Right: As a foreman at Kosma Engineering. L-R: myself, Takis, my brother, Panagiotis, Panagiotis Hatziapostolou and Panagiotis Triadapoulos. Above: As a Committee Member of Palesviaki Enosis of Melbourne and Victoria, under the Presidency of Georgios Stavrinos. 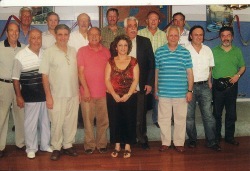 The photograph was taken during the Mayor of Mytilene, Nasos Giakalis' visit to Australia.